“Well, we’re kind of a closely guarded secret in a way,” confided the late Jennifer Jaff, Esq. who founded the Advocacy for Patients with Chronic Illness. Join us to in honoring the life of the intrepid Jaff – who died last year at age 55 after battling Crohn’s disease for nearly forty years – and help raise money for a great cause. Team McCready is a nonprofit Pearl Jam fan organization. As part of The Wishlist Foundation, the grassroots effort honors the legendary guitarist Mike McCready – who has had the incurable and inconvenient disease since he was 21 – and raises money for chronic illness. NEW JERSEY CHAPTER – March 23rd from 1 to 6 p.m. All AGES. The band NO CODE – “North America’s Longest Running Tribute to Pearl Jam” – will be performing two sets (2 p.m. & 4 p.m.). Rock Memorabilia Auction & Raffle. Donation: $15 (all cover charges will be donated to The Wishlist Foundation). No cover, but donations welcome. There will be merchandise, an auction, and a raffle. All proceeds support APCI. The band Xs & ARROWs will be playing two 40 minute sets (4:15pm and 6pm). I covered last year’s event in New York and had the privilege of meeting and interviewing Ms. Jaff. Ironically, right after that weekend I embarked on my own “medical mystery tour”; finding out in June that I had a chronic illness of my own – fibromyalgia. Given that, my life (school/freelance work/etc.) was largely put on hold. My story for the past year has been one of “overcoming,” so this cause is near and dear to my heart. The interview (along with one I did with Lisa Cressman) are NOT going to waste. I plan on covering today’s New Jersey event and writing a comprehensive piece about them both. 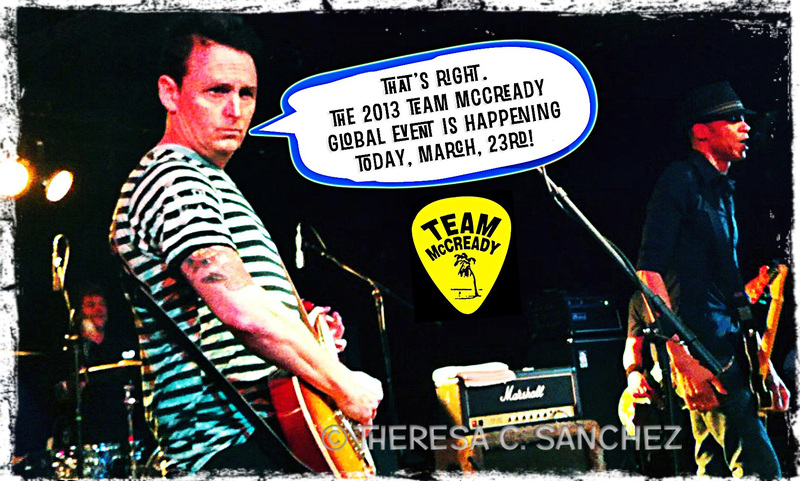 Meanwhile – try and make it to one of the bi-coastal Team McCready Global events (there was one in Seattle last night and the UK one takes place May 4th). More information to come! Please check back in.